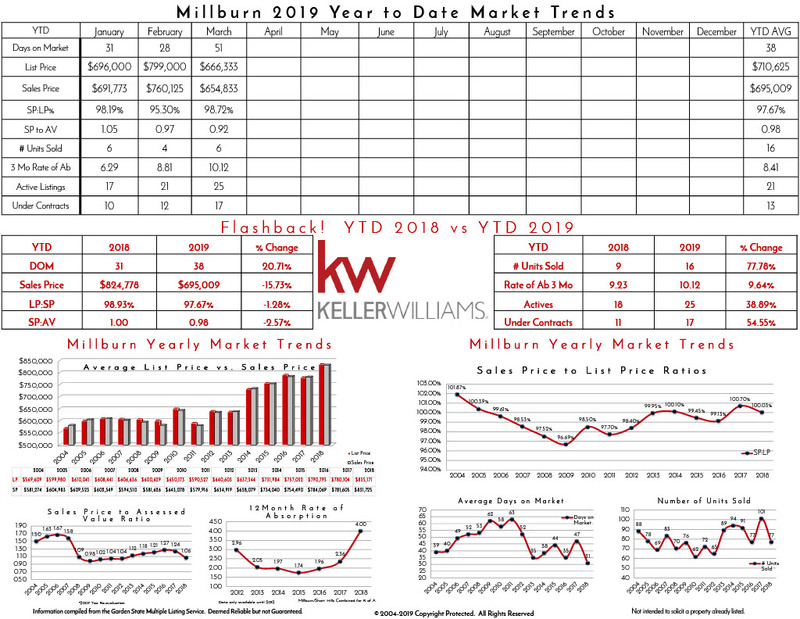 In Millburn, We had homes sell for as much as 6% over asking and a little as 96% of asking, giving us an average of 98.7% of asking. 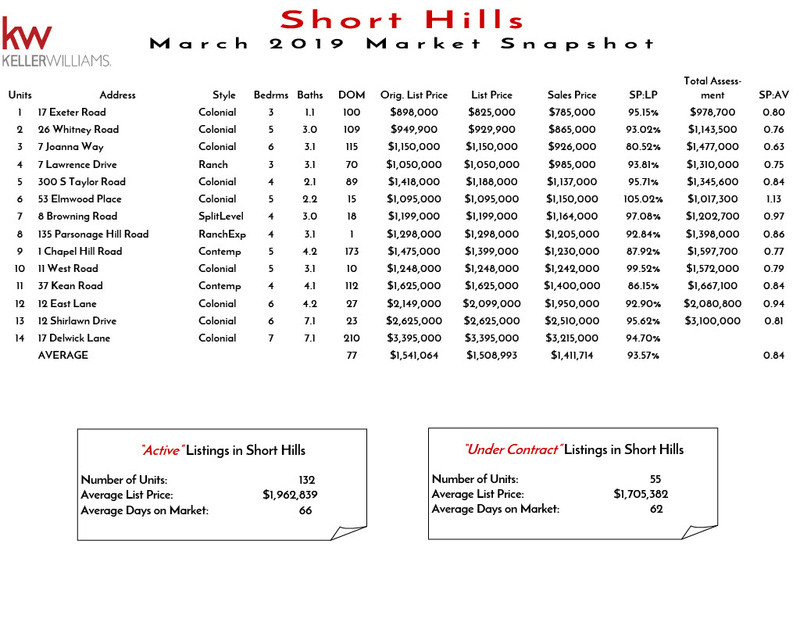 There were 17 homes placed Under Contract as compared to a total of 25 homes listed as Active. 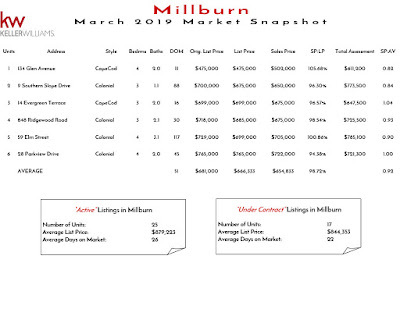 These stats show us that the Millburn market is still quite healthy. 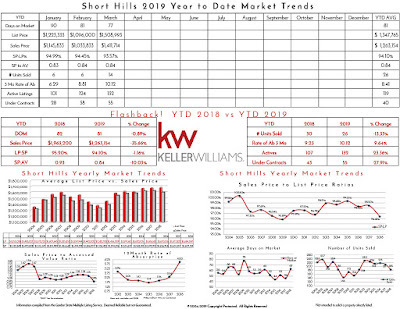 In Short Hills, we had homes sell for as much as 5% over asking to as little as 80% of asking. There are a significant amount of homes on the market,--ringing in at 132 properties for sale--with only 55 more properties Under Contract. 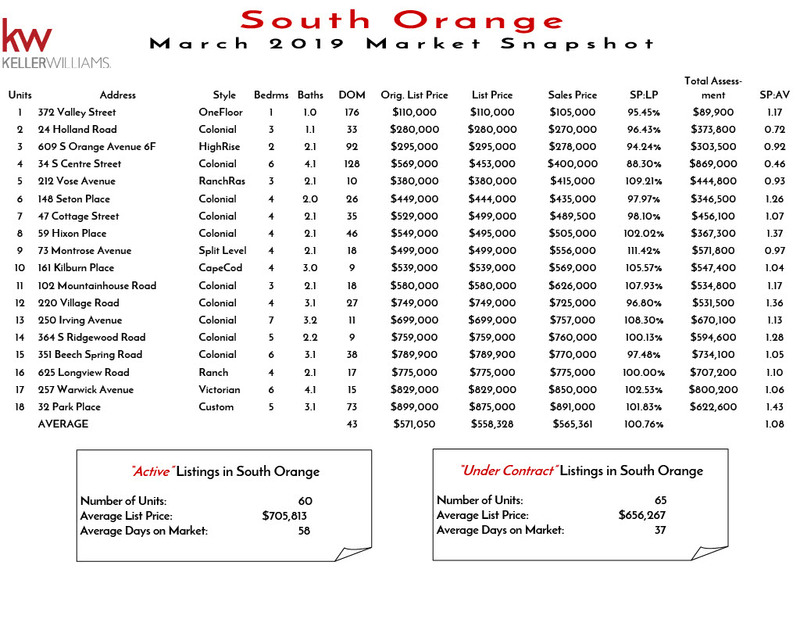 Clearly, we are seeing some increasing challenges with an overall average of homes selling for 93.6% of asking for the Luxury Market homes over $1M. 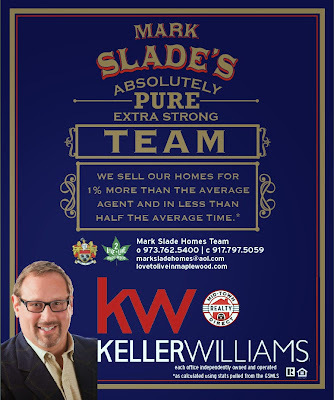 If you have any questions as to how much your home is worth, please feel free to call us at 917-797-5059. We have either closed or have accepted offers ranging from asking to as much as 10% over asking on our recently listed properties. Want to know what our "special sauce" is for achieving these results? Give us a call at 917-797-5059. Looking to move in the immediate area? Well we can be of extra special help with our new Moving Truck. 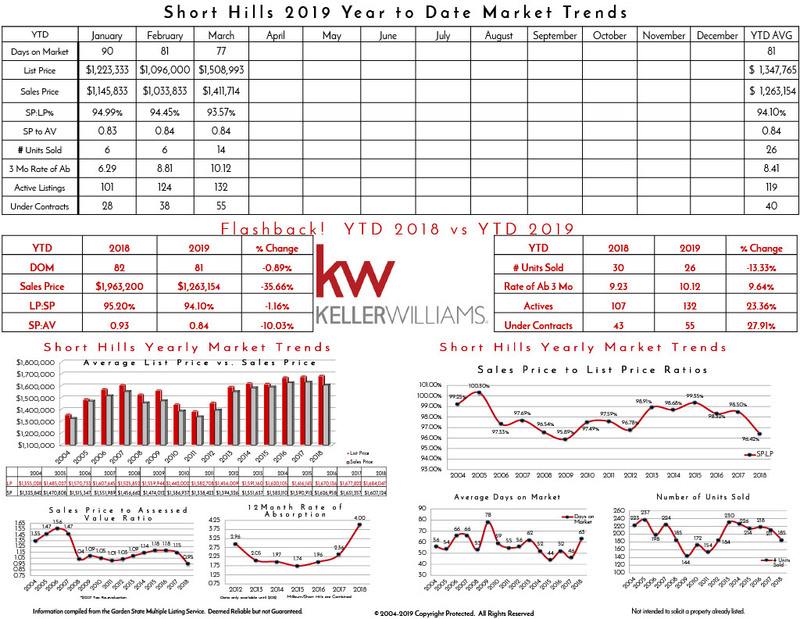 Selling a Millburn/Short Hills, Maplewood/South Orange/West Orange area home involves many steps and having an experienced Millburn/Short Hills,New Jersey Real Estate Agent and Realtor®, specializing in the Bedroom Communities of New York City in Essex/Union County— Millburn, Short Hills, Montclair, West Orange, South Orange, Livingston, Maplewood, Springfield, Summit, Madison, Chatham, Scotch Plains, Fanwood, Cranford and Westfield--by your side will make the transaction run a lot smoother. 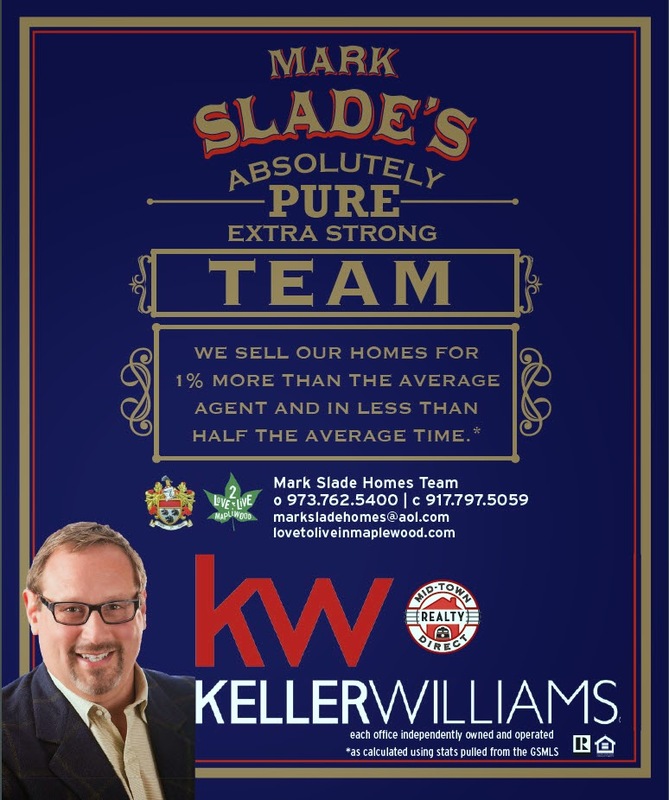 I would love to be your Millburn/Short Hills New Jersey Area Real Estate Professional! 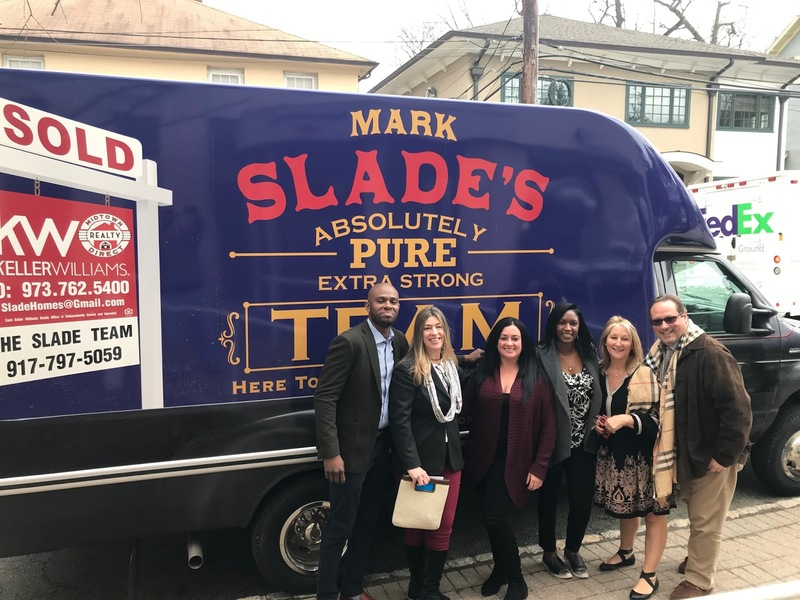 I assist both buyers and sellers in the Bedroom Communities of New York City, mostly served by NJ Transit’s Mid-Town Direct Train Lines, offering commutes of 45minute or less to NY Penn Station, with either the purchase and or sale of residential real estate. 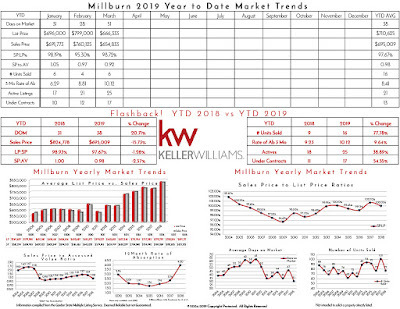 As your Millburn/Short Hills New Jersey listing agent I am well versed on as your local expert in all things in the Millburn/Short Hills as well as West Orange, Maplewood and South Orange area Real Estate Market. 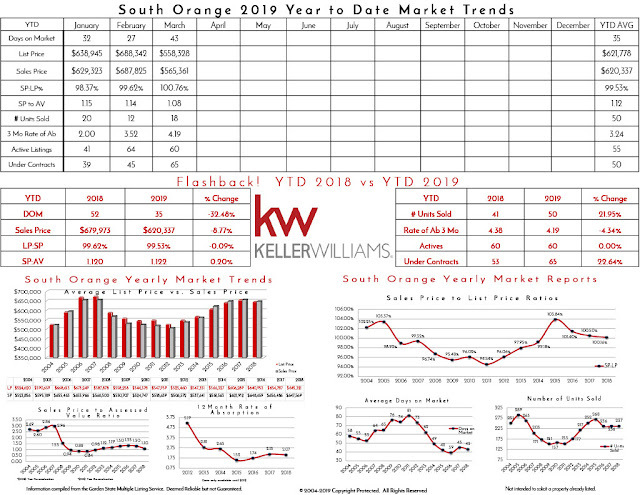 You can expect personalized service that includes a detailed consultation on how to best position your Mid-Town Direct home to be competitive in today’s market with training to provide my clients with an in-depth Advanced Comparative Market analysis, and advice on staging. 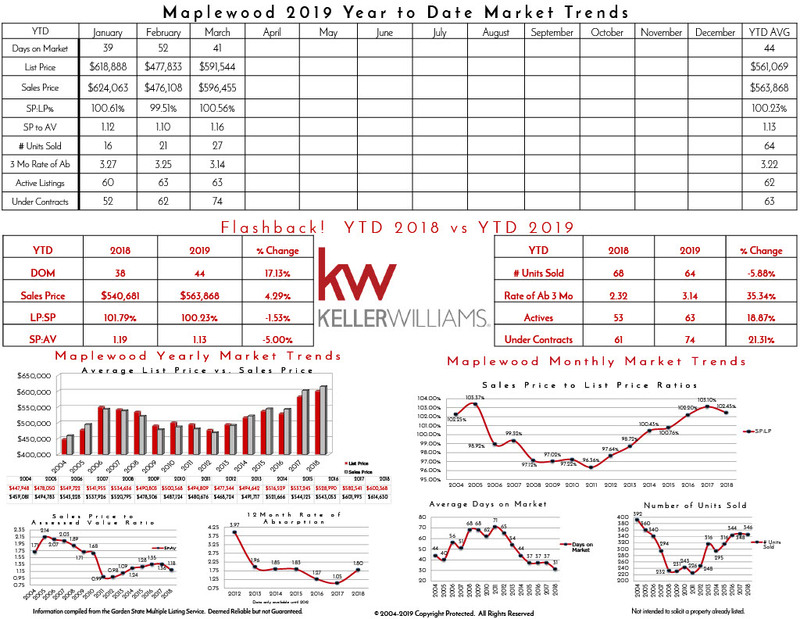 As my office’s technology officer as well as both a Zillow Platinum Premier and Trulia Premier agent, I use the latest and most up-to-date marketing methods to get your home in front of as many buyers as possible. Being your New Jersey Real Estate Agent and Realtor ® not only involves just finding the home or selling the home, but being your guide, negotiator, advisor and advocate and making sure that your needs and goals are met. 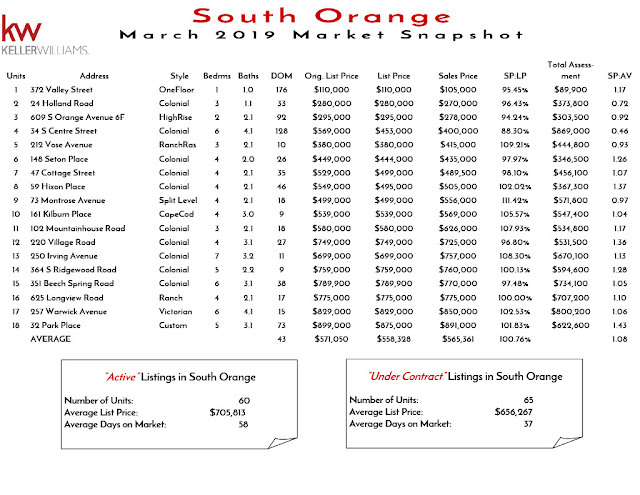 Being your New Jersey Essex/Union County area Realtor® (with a little bit of Morris County thrown in for good measure) is one of my truest passions, and “Helping You Find Your Dream Home” is my number one priority. Recently Renovated and updated in 2016, this spacious custom 4 bedroom, 3 bath colonial defines move-in ready with hardwood floors, formal dining room & eat-in-kitchen. Bonus: Possible mother/daughter Come soak up the sun inside the home due to large windows. There is a second side entry to the living room and convenient access to the stairs leading to the upper level. For the busy home chef, the kitchen sparkles with white cabinets, granite counters, tile backsplash, pantry while being complemented by stainless steel appliances. A bedroom and full bath round out the first floor. Three bedrooms, one a master with sitting room share the second floor with another full bath. The lower level has a family room, kitchenette, exercise or bonus room with closet, laundry and the third of three full baths. 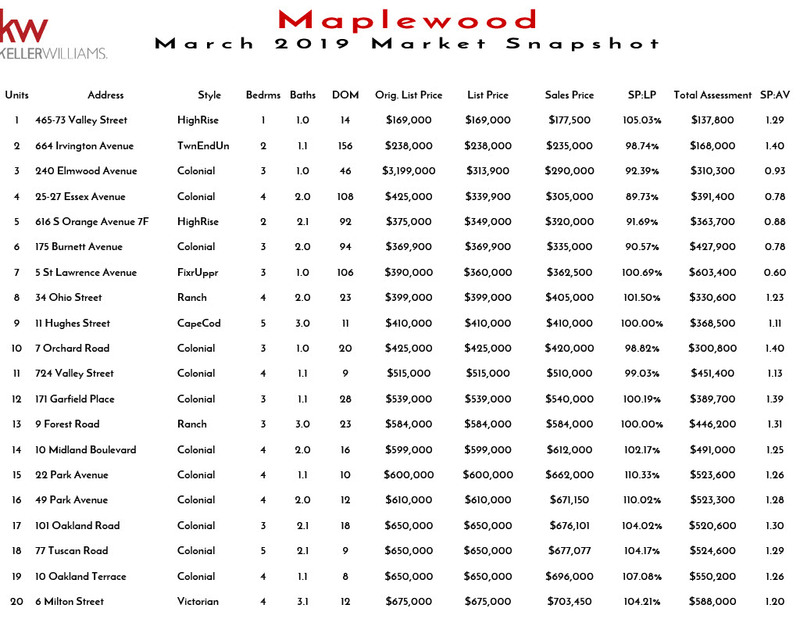 Maplewood and South Orange March Real Estate Round Up! 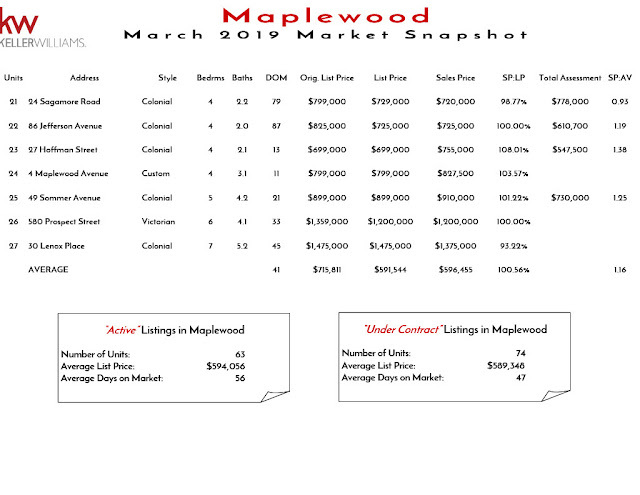 Spring Market has Sprung and the results have been as pretty to look at as the cherry blossoms on our area's trees. We had homes sell for as much as 10-11% over asking, with Maplewood averaging just over 100% over asking and South Orange coming in at 99.5% of asking for March. 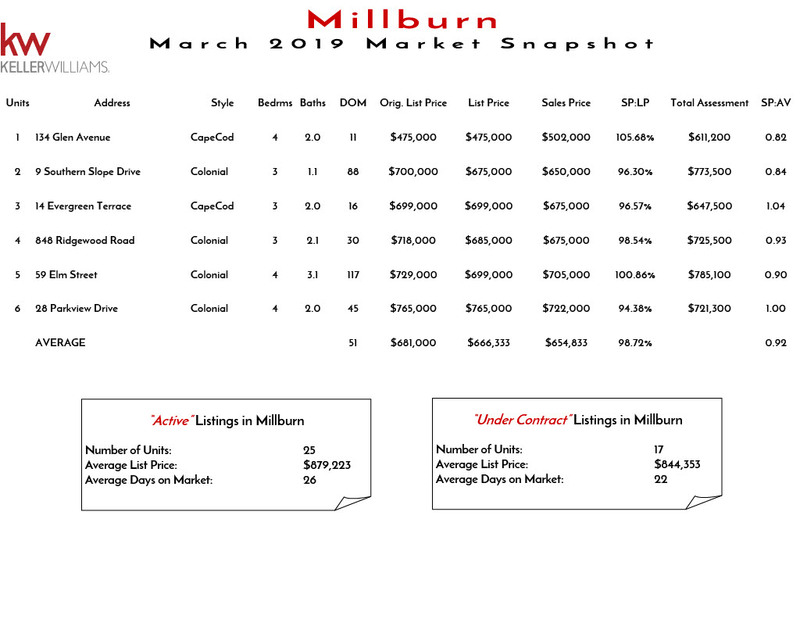 Both towns currently have more properties Under Contract than they do active listings, which I refer to as a Hyper Market, showing that buyer activity is weighing in more heavily than what the market has to offer. 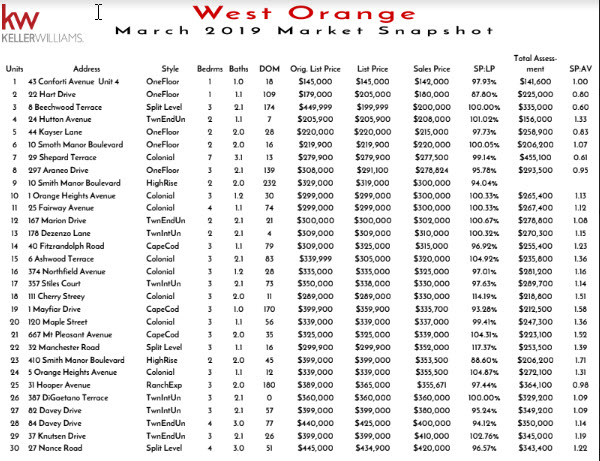 West Orange continues to be a hot market for real estate, increasingly so for March, as buyers paid a touch over asking. 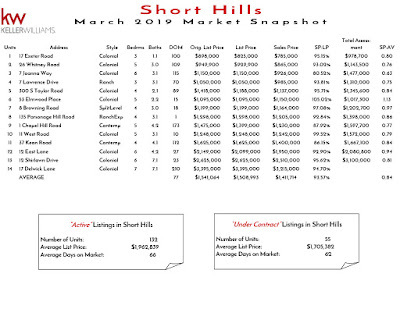 I love to see the Under Contract to Actives ratio as high as it is--meaning a good number of homes listed for sale are being bought by buyers--in March this ration hit a season's high of 77.3%. 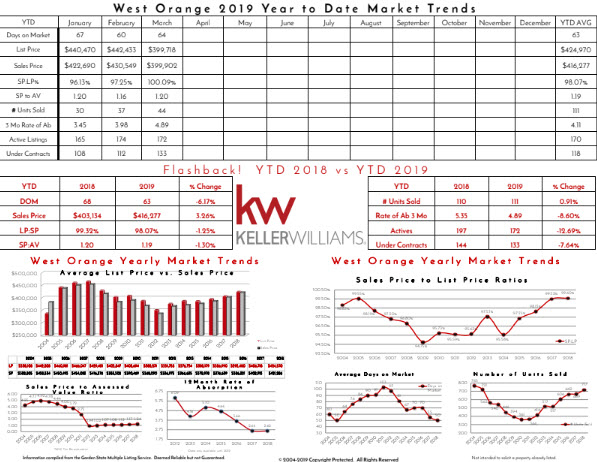 Looking to sell your West Orange home? 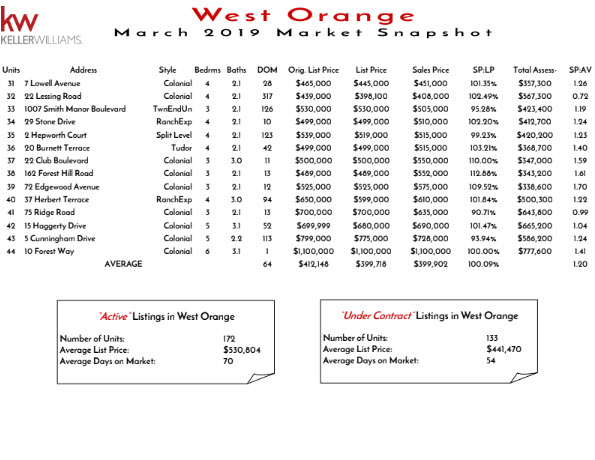 We are proud to say we have sold all four of our listings in West Orange for over asking, with our highest being 22 Club, which we sold for 10% over asking. 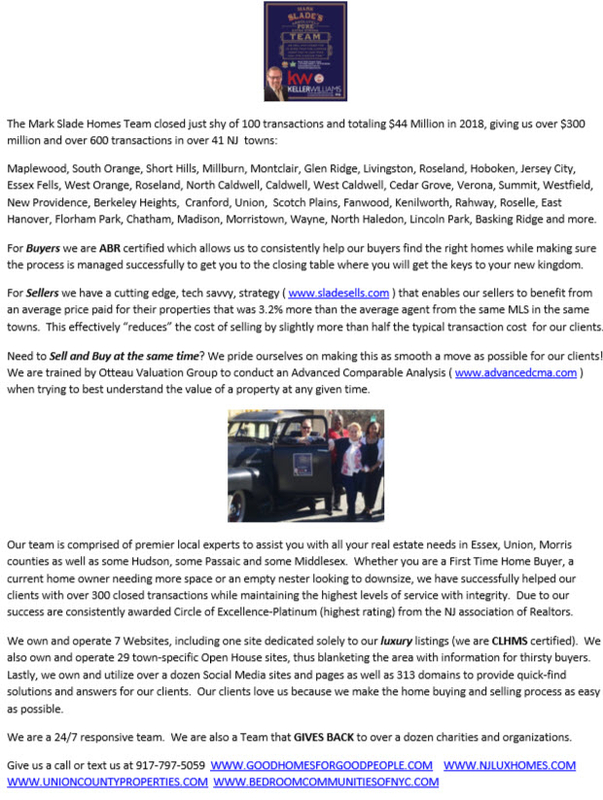 Want to know our "special sauce" to getting our clients' properties sold for more than asking, then give us a call at 917-797-5059.
and where we use Quick-Links to make it easiest for our clients to Sell and/or buyer their homes. Game of Thrones, I mean Homes! 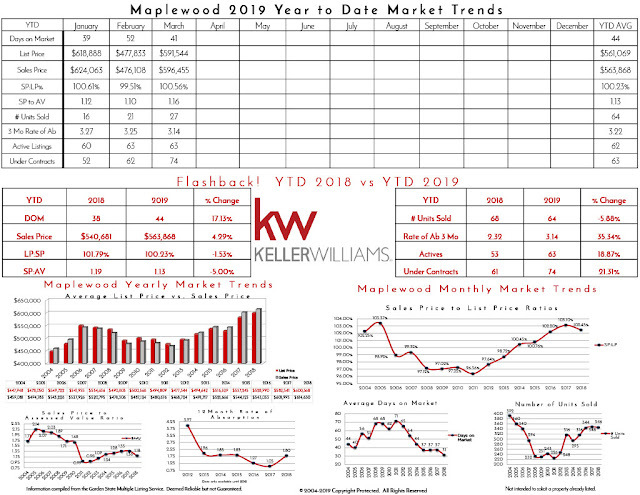 This blog post inspired by MaplewoodMarc who responded to some of my social media about GOT with the caption: Game of Homes. But, seriously folks, if you are looking for homes in SOMA, then look no further. 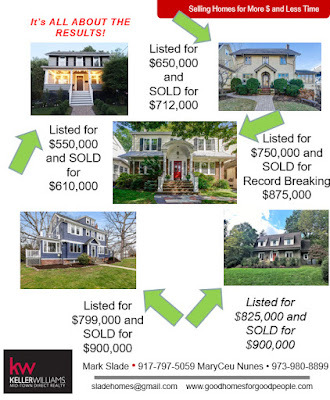 This home has 4 bedrooms and 2 1/2 baths--two are recently renovated full baths--at $615,000. So, come play GAME OF HOMES!